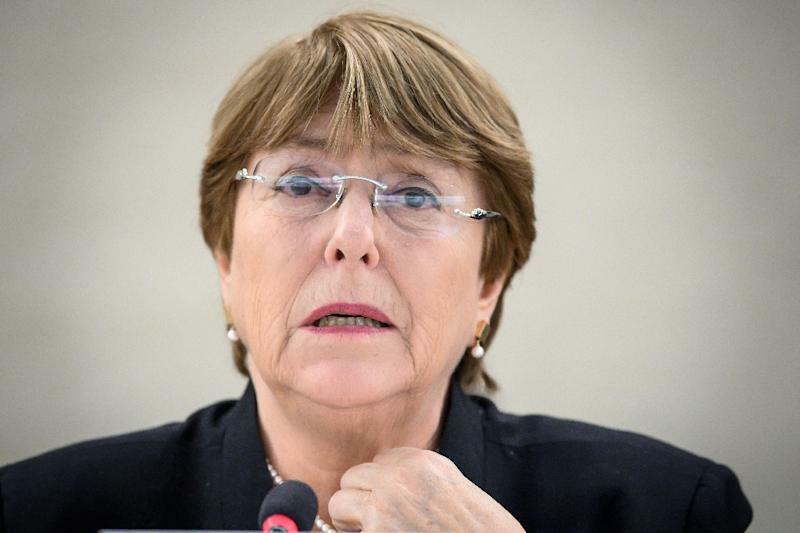 Geneva (AFP) - The UN human rights chief on Wednesday stepped up her criticism of US sanctions against Venezuela's government, a day after President Donald Trump warned Washington could still impose "tougher" measures. But a day after the US announced new sanctions on a Venezuelan state mining company and Trump said he was ready "to go a lot tougher," Bachelet cautioned that Washington's moves could hurt ordinary Venezuelans. In addition to the measures announced Tuesday against mining company Minerven, the US has cut Maduro's regime off from the revenue generated by its state oil company, which counts on the US as a key market through operator Citgo. The US and more than 50 other countries recognise Venezuela's opposition leader Juan Guaido, the head of the National Assembly, as the country's rightful president.